Wednesday Campanella’s much-anticipated 10-city Asia tour finally begins this week. In the run up to it, a compilation video has been released showcasing footage of KOM_I live at the Kawaguchiko Stellar Theater on June 30 and July 1. Yuichiro Fujishiro―who has directed numerous videos for Wednesday Campanella―is responsible for directing and shooting footage shown in the video. It features four whole minutes across both days of the show from different angles where we see KOM_I singing and dancing in the water, lights and by fire. The footage includes lots of songs from Wednesday Campanella’s latest EP, Galapogos. The Asia tour will begin on October 12 in Hong Kong and run until December, wrapping up in Okinawa. 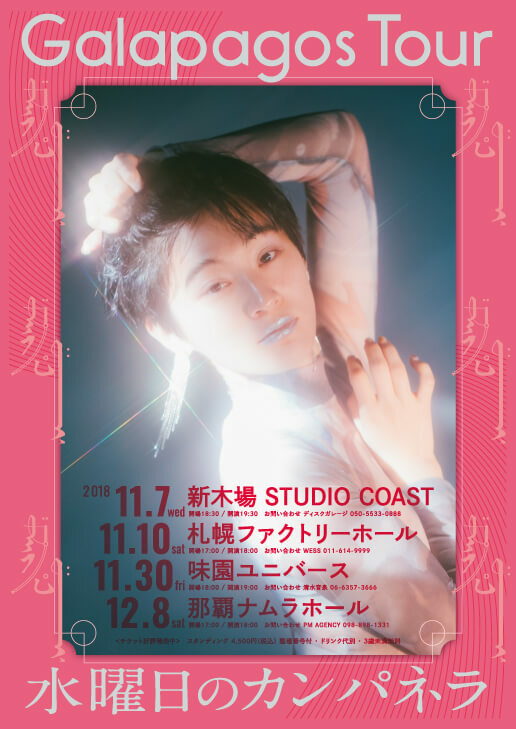 If Wednesday Campanella are coming to a place near you, book a ticket and see KOM_I’s dazzling performance for yourself.